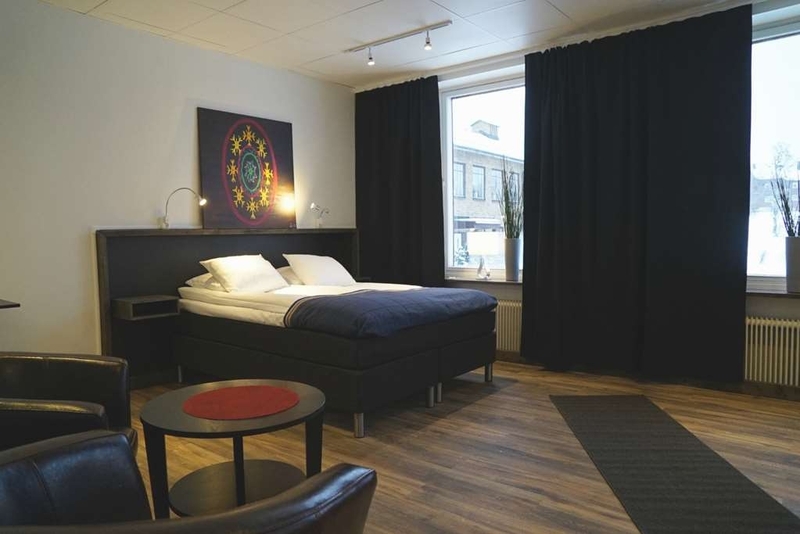 The Best Western Hotel Arctic Eden is ideally located in the center of Kiruna. Come and experience our hotel near the major tourist attractions. Best price guaranteed and exclusive deals. 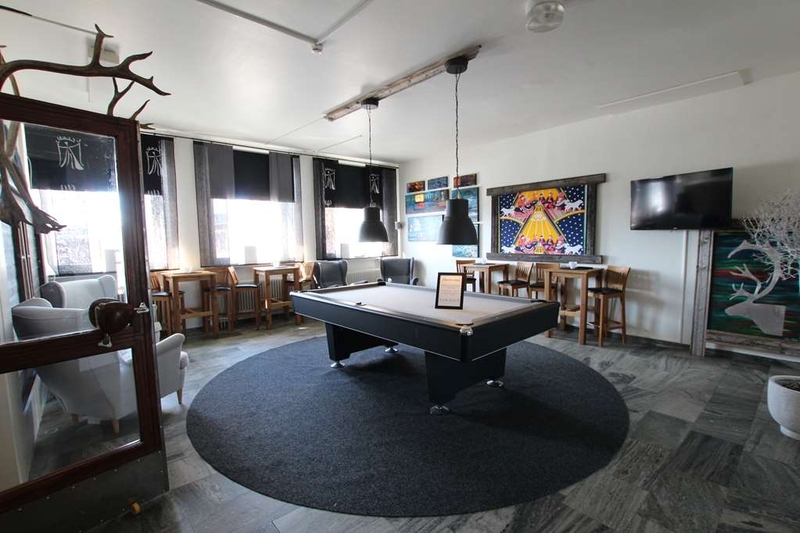 The Best Western Hotel Arctic Eden is a Sami inspired family owned hotel with a big heart and focus on the guest. 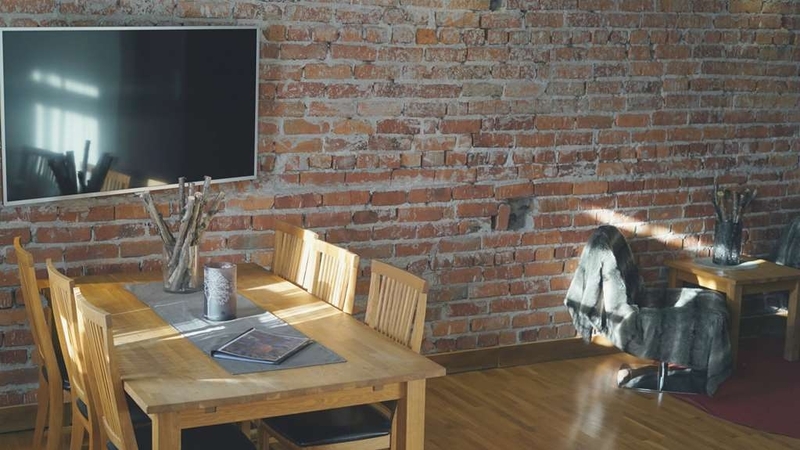 The building was from the beginning a school, but has been converted into a modern hotel of high class where style and design have been tastefully combined with today´s demands for comfort and service. 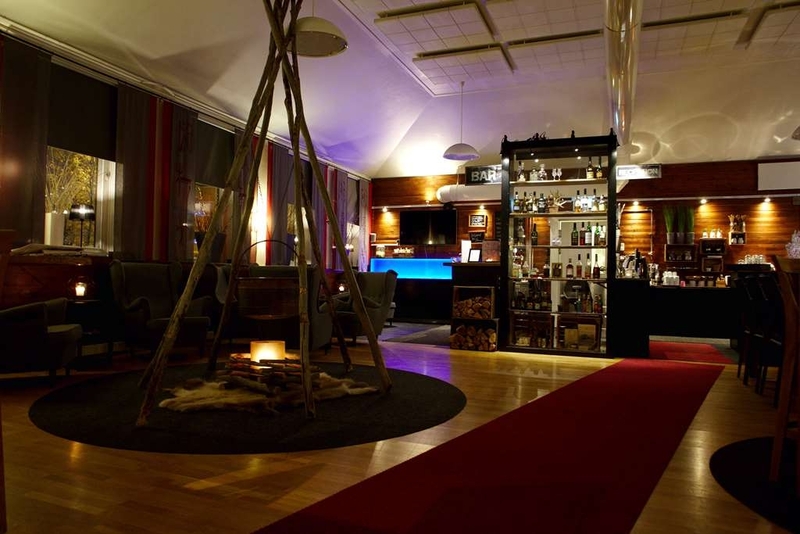 The inspiration for the hotel genuine interior comes from the Sami culture and the Sapmi Region. Jan Gronberg and Kirsti Saisa bought in 2006 the old school Norrmalmskolan and renovated it to the hotel that we proudly can offer our guests today. 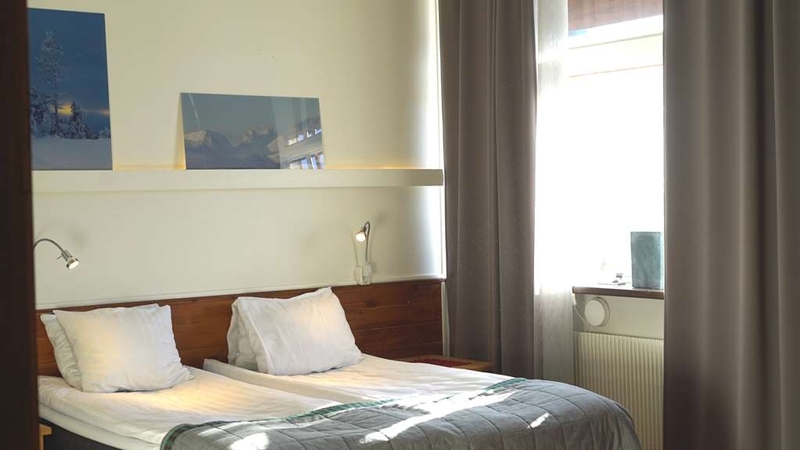 The hotel is centrally located within walking distance to the train, bus stations and city center. 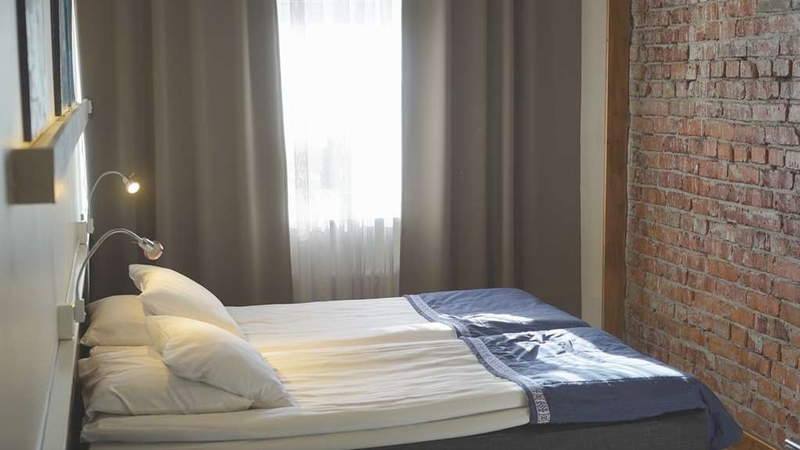 We offer our guests comfortable and bright airy rooms that are well suited for vacation as well as for work. 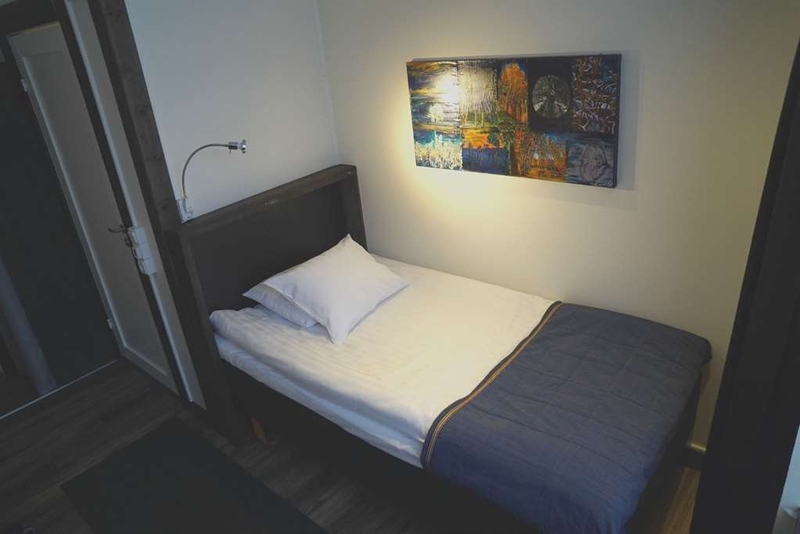 All rooms are tastefully decorated with Sami inspired art. In the building next to the hotel you can find our two restaurants, Arctic Eden Restaurant and Arctic Thai & Grill. 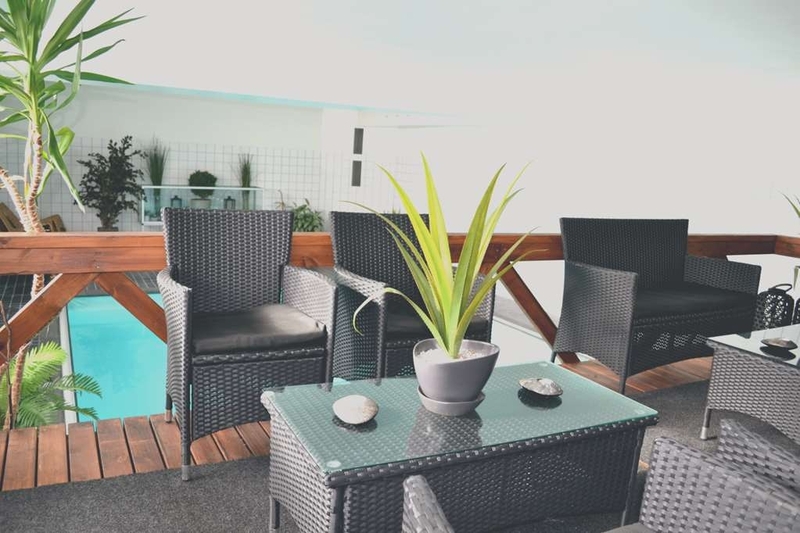 As a guest at the Best Western Hotel Arctic Eden, you also have access to the hotel´s relaxation area with sauna and swimming pool. Wireless Internet is available in the entire hotel and is free from of charge. Great service! 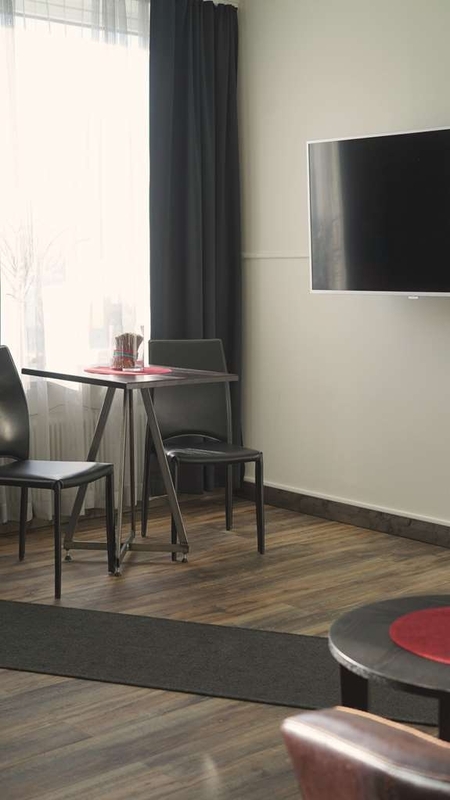 Sweet rooms and very close to everything you need and still stay in a quiet and calm area.The staff was over the top, great, serviceminded, very helpful. 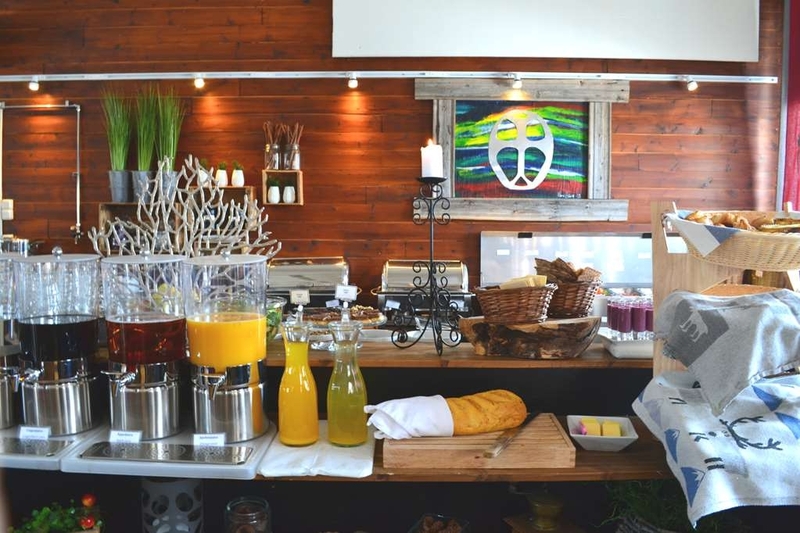 I got the feeling they enjoyed working at Hotel Arctic Eden.Breakfast was great.Clean and nice. I missed that they didn't refill the conditioner and they didn't really clean the bathroom during my stay (6 nights), which I think should be included in this high rated hotel.Elavator was not really working, and since we had a lot of camera equipment to bring in and out every day I really had appreciated a working one.Overall we were very happy with our stay and I would definitely recommend this hotel to everyone! 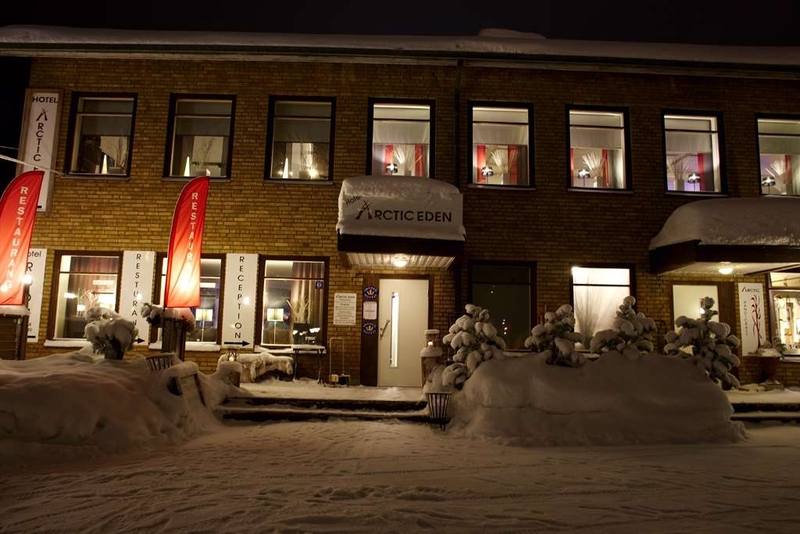 Arctic Eden is a wonderful hotel that made such great and creative use of an old school. What a great asset to the community. 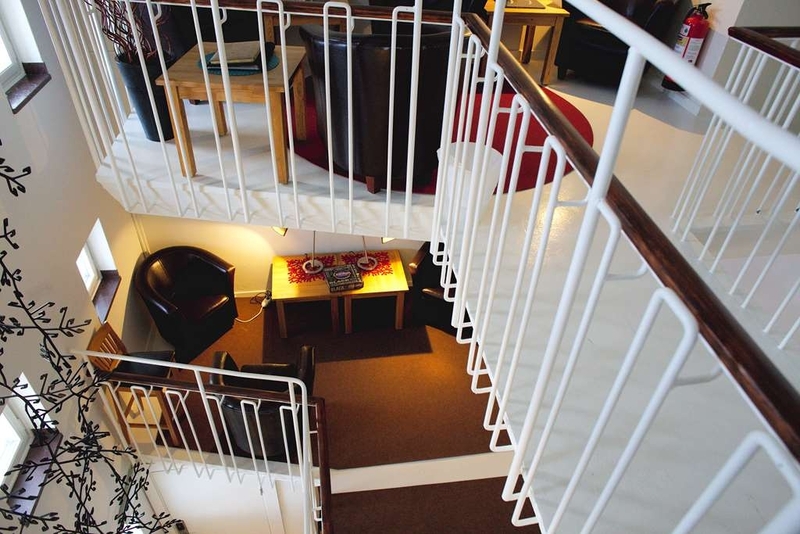 The staff was wonderful and the rooms were nicely decorated and appointed. 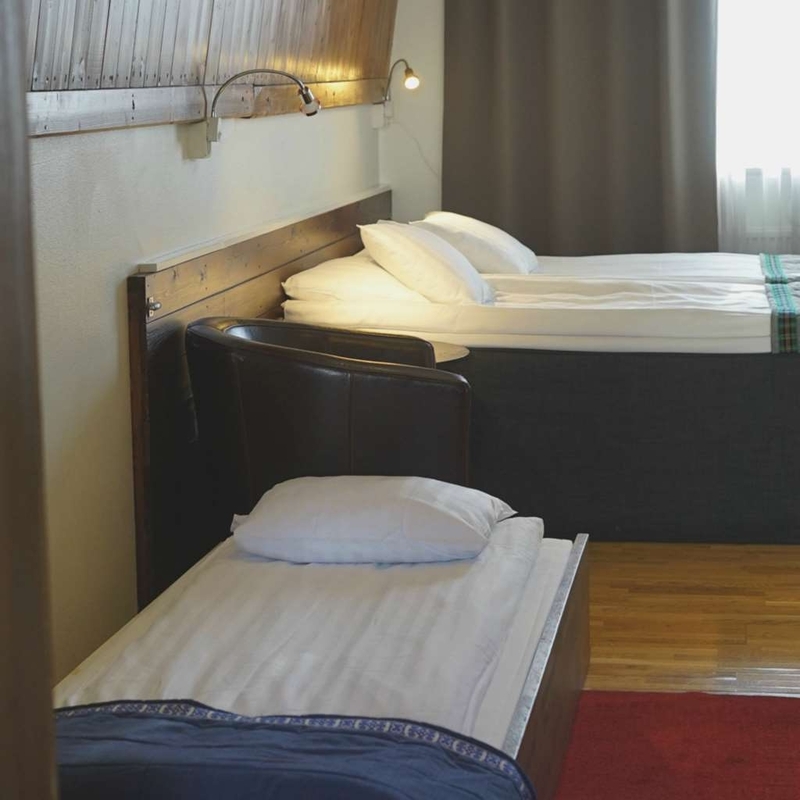 "Beautiful Hotel - Good located"
The Hotel offers nice and clean rooms, an indoor pool with sauna and a really well equiped fitness center. The breakfast is very good, coffe tastes great. The stuff is very friendly and helpful. Just ask them, if you have any issues, they will help you! "Be aware of room difference"
Stayed two nights at this hotel five minutes walk from downtown. Got a very small room in the 4th floor - no place for luggage, very small bathroom and bad air. TV not functioning either - but that showed to be a luck! I was given a new room, and this room I guess was standard size - three times larger than the first. First room I rate two star,the latter four star, so the final result was average. Breakfast was good, and staff kind. #1 prior our start @ the Fjallraven Classic we had a superior room, and after that a king suite deluxe with a jaccuzi and private sauna.. It was superb, spacious room and the bed amazingly good. The staff is very very helpful and super friendly! 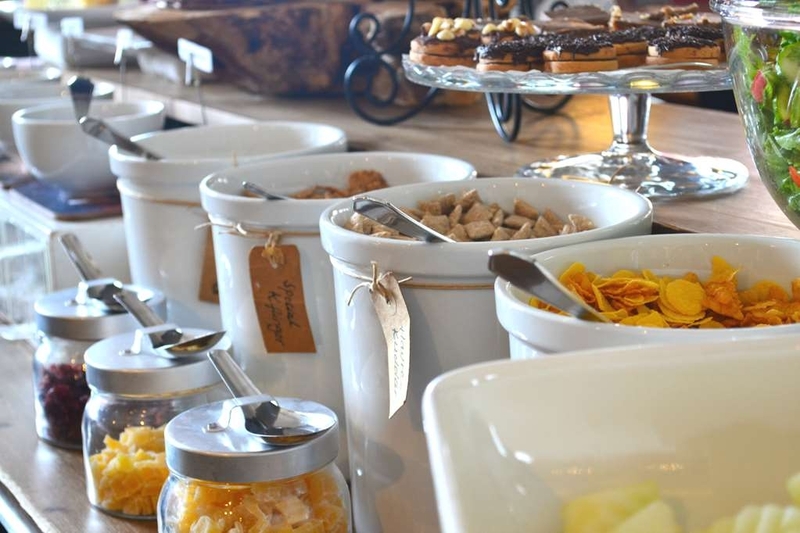 The breakfast is also very good and has a lot to choose from. we definitly recommend this hotel. "Nice Hotel in Kiurna with friendly service!" 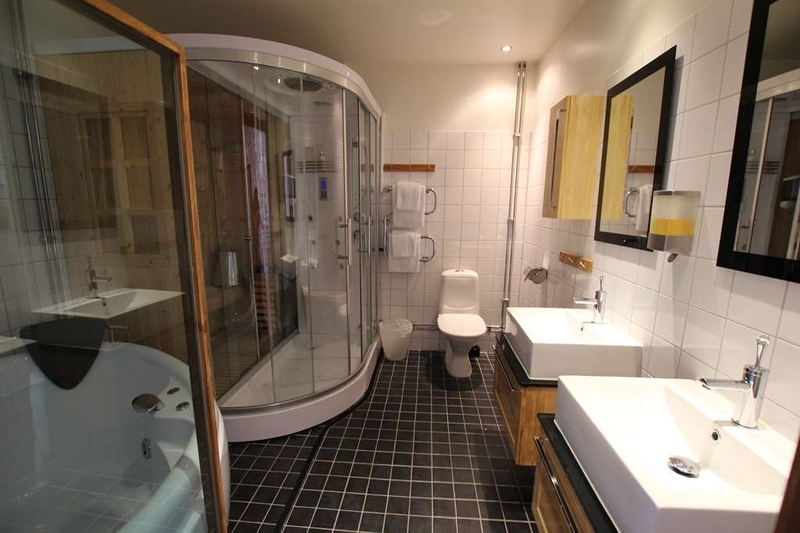 Nice hotel located Close to Central part of Kiurna. 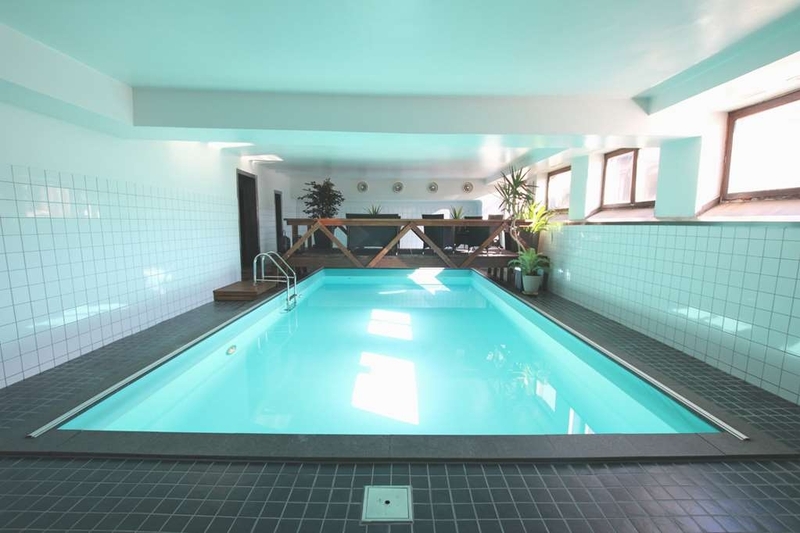 Two restaurants on the spot, one hotel bar, saune, pool and a gym. We stayed for two Nights, then you have plenty of time to do Kiruna. Flott frokostbuffe og rikelig med mat hele tiden. 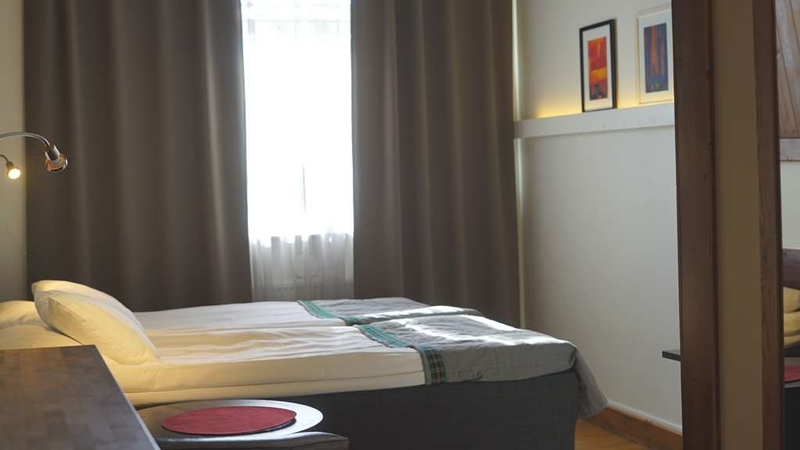 This hotel is very eco friendly, the rooms are small, but the amenities are very cozy. The serves is great. Taxis are slow if you are ordering one plan ahead. But this place is a delight. and to boot the pool tables don't show any green, white felt in the arctic. Thank you for staying with us :) We appreciate your feedback! 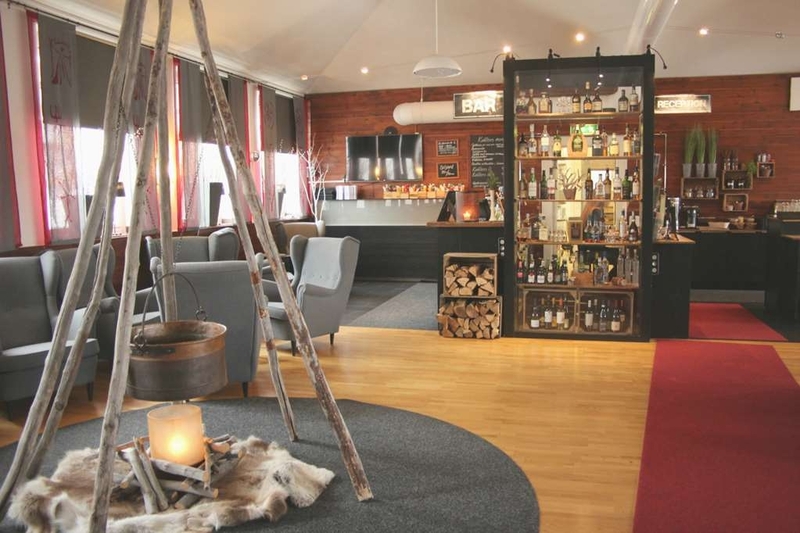 "Great Base Camp for our tours in and around Kiruna"
There is a few things that are important to us with hotels. It starts with a nice welcome and includes a friendly and helpful team. This was absolutely the case at the Arctic Eden. 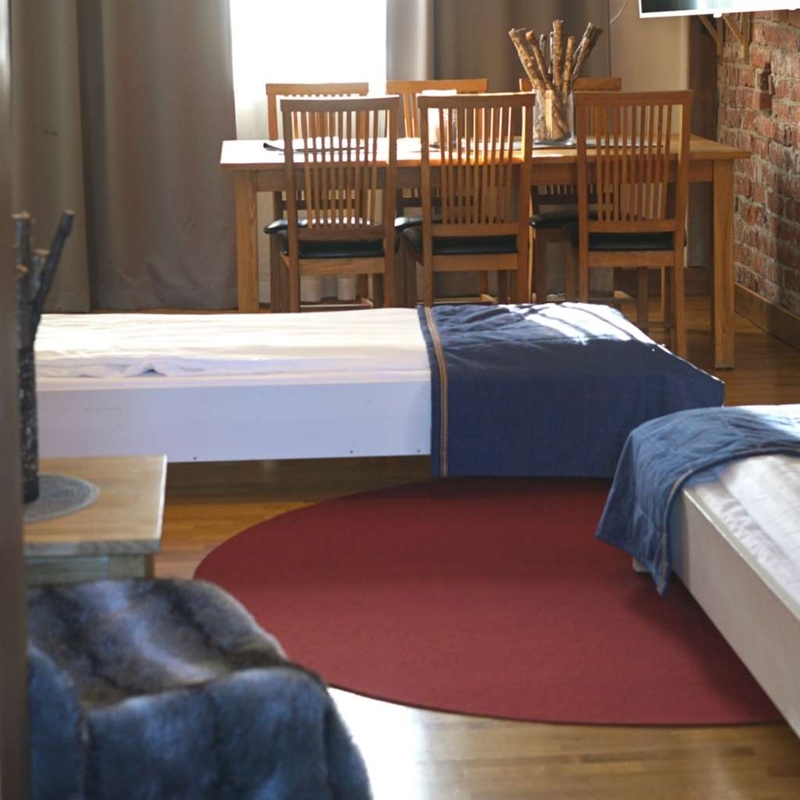 For our six day stay we got a very cozy room which was perfect to relax and warm up between tours. 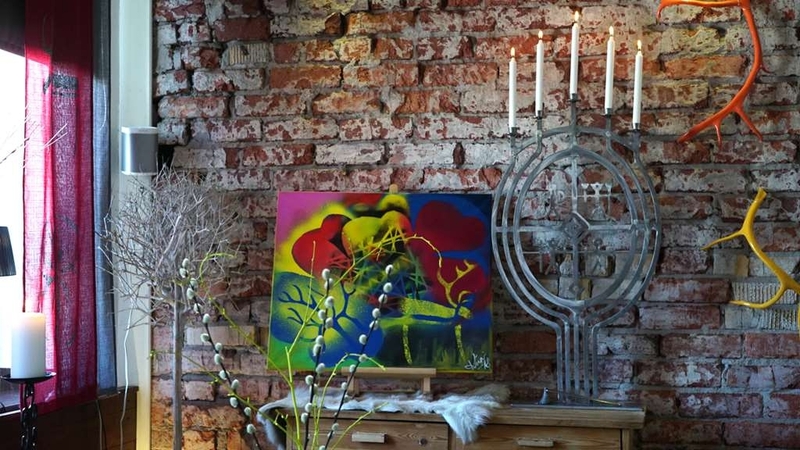 The hotel used to be school and was lovingly remodelled with lots of Sami Art and elements. There is a large free parking lot in front of the building and even though we would recommend a rental car for your trip you dont need one. City center is walking distance and most tour operators offer pick up. The hotels restaurant / bar is very cozy and the great breakfast is also served here. Also on the grounds you have a very popular Thai restaurant and just across the street the almost famous food truck that you absolutely have to try out.a small supermarket is also just across the street. 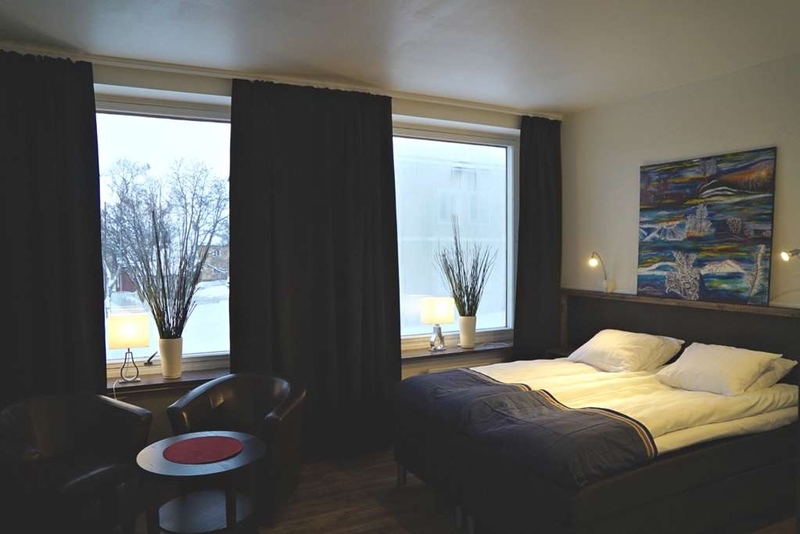 Great team, cozy rooms, very nice breakfast, for us a perfect base in Kiruna. Easy to find. Ensure that you are well-prepared during the winter period as it can get rather cold, and if possible, drive. or at least get a transfer service if you dont. + Spacious room. 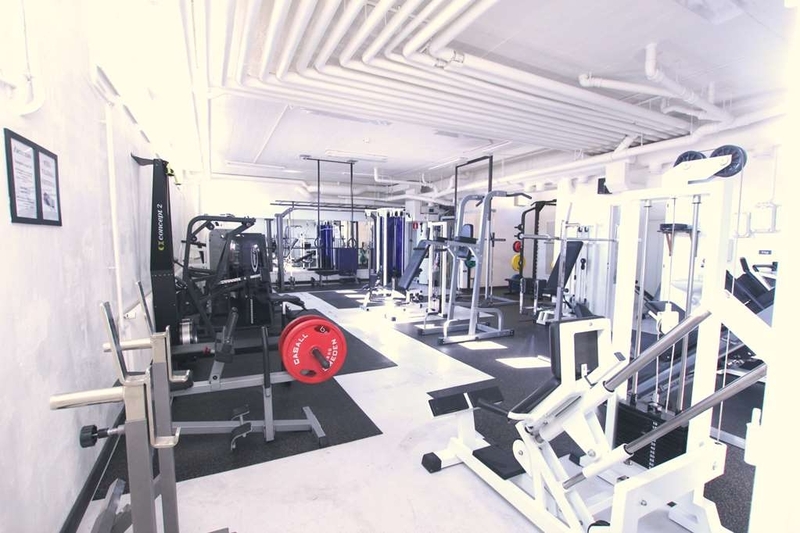 Nice Gym. Breakfast was good. Staff was helpful. - Staircase. Omg. Climbing 2 flights of stairs for 4 luggage was insane. The thing about Kiruna is that it is a mining town, not a tourist destination. Arctic Eden is geared for those coming for business and it is obvious. Not that this is a bad thing. The various tour guides we went out with just commented that they never pick guests up from this hotel. The rooms when checking in was clean. If you are wanting to have your room cleaned while staying, be out of the rooms by 9:00 am. We only left the room early once in the time we were there. One day we left at 9:30 for breakfast and we still missed room cleaning. The breakfast was nice and had some nice local options. The bar was nice but it was a little awkward that we were the only ones there. I'm not sure if this was due to the short hours of the restaurant or being there during off-season, both are possible. The sauna was nice to relax in after a day of being out in the cold. The staff responded quickly to our inquiries and helped arrange a taxi for us from the airport to the hotel. Unfortunately the taxi wasn't there when we landed, but I don't believe this was the hotel's fault. I think it was the taxi's fault looking at how they picked up passengers. The hotel was willing to call another taxi to come pick us up but we decided to just take a bus. The only other down side is just a personal thing. The building is a former school according to their website, but sadly you can't really tell. I wish they had left some of the features of the school. Not sure how you would have done it but it would have been nice. 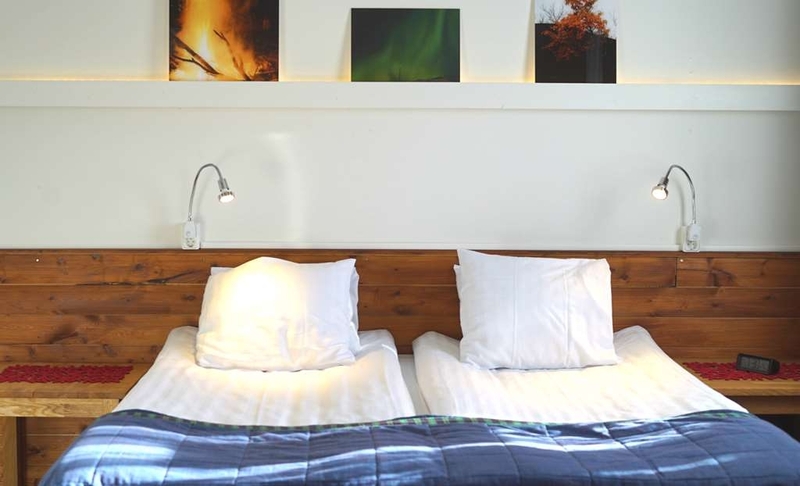 "Basic yet more than enough"
Stayed at Hotel Arctic Eden during a business trip. The interior and exterior of the hotel are very basic. In spite of that the visit proved to be a happy surprise. 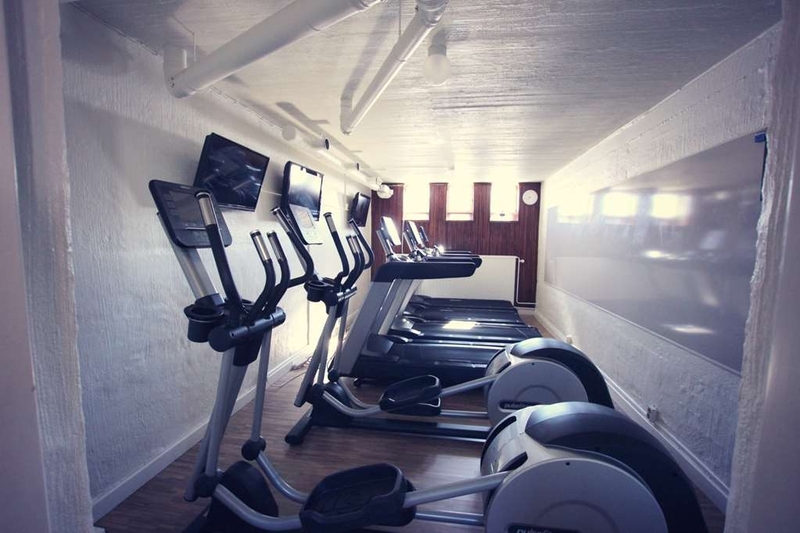 Very spacious rooms and a one of the larger hotel gyms that I've seen. The breakfast was also rich with many alternatives; stretching from eggs to desserts. 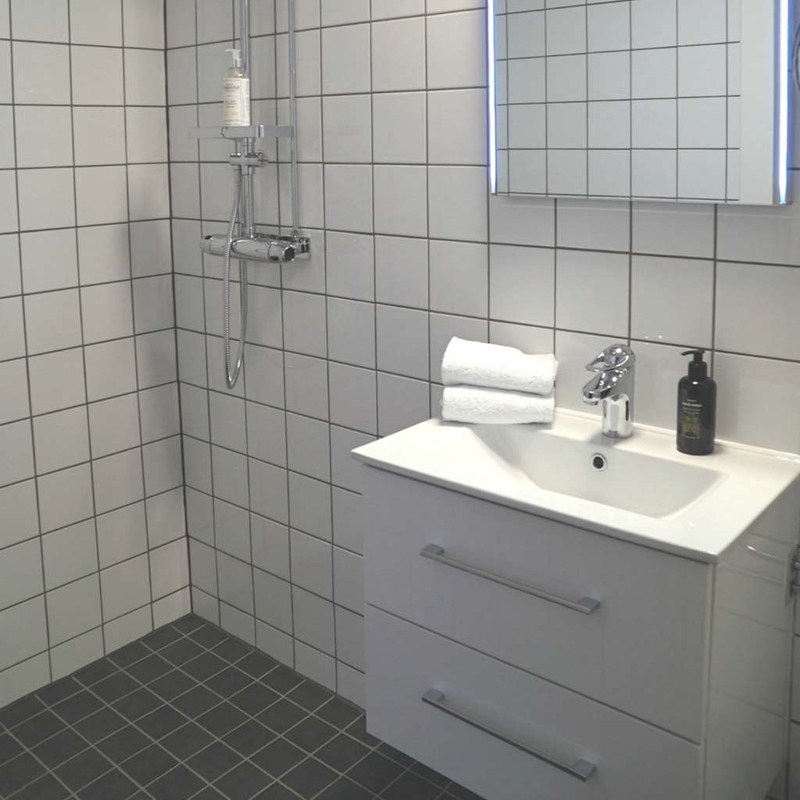 The hotel is also in close proximity to all parts of Kiruna and with free parking spaces. 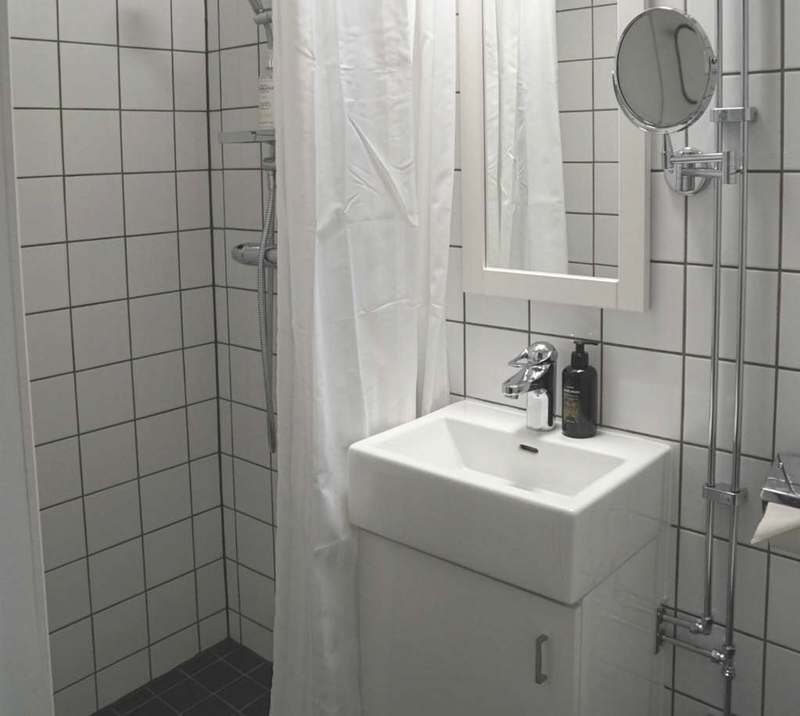 All in all a hotel that can definitively be recommended to all types of people visiting Kiruna!